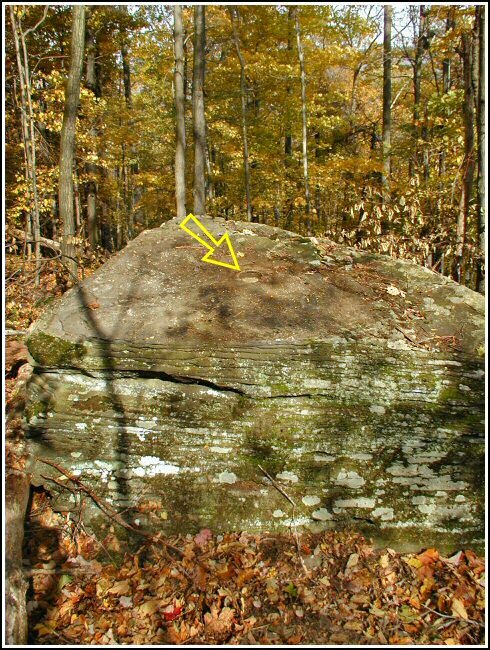 Our main goal for the day was to locate and document CLIFF ET, but we had some time remaining and decided to look for EVANS ET as well. 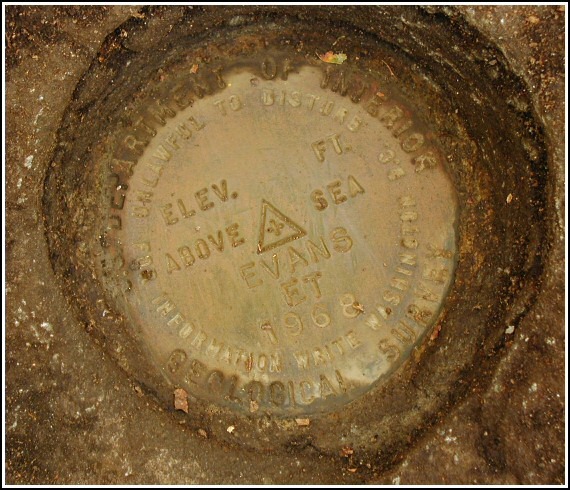 The 1968 description led us easily to the station and reference marks, which were all in good condition. At the site we were also able to photograph the microwave tower that serves as the azimuth mark for CLIFF ET. 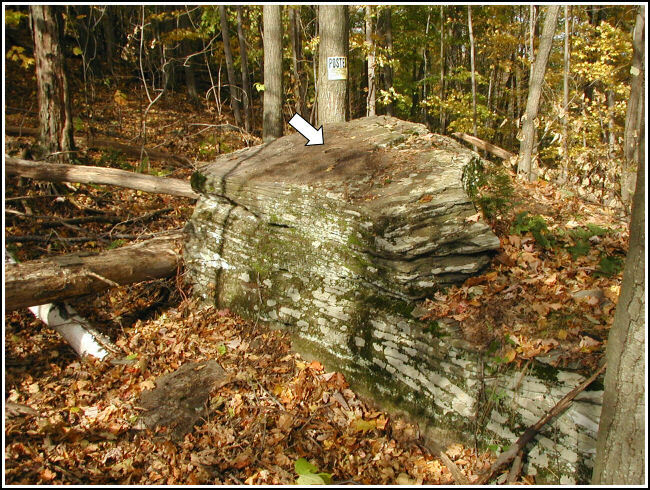 The station and reference marks 1 and 2 were recovered in good condition. The witness sign and blazed trees no longer exist. The azimuth mark could not be observed from the station. 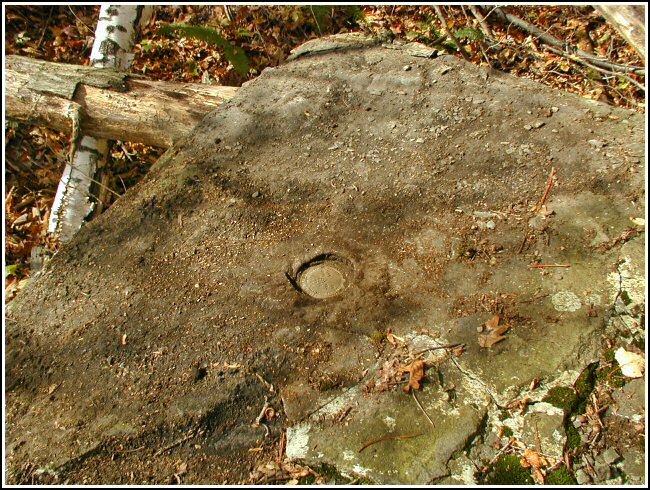 Eye-level view of the station mark on the boulder. Looking NW at the boulder. Looking E from RM1 (station is circled). 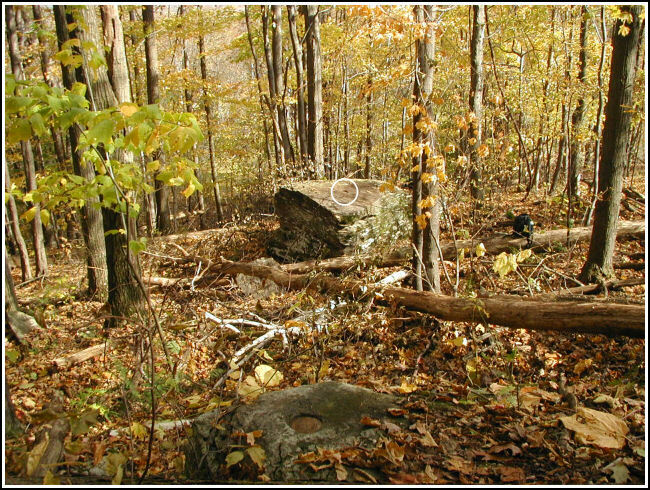 This second order triangulation station is situated on a wooded hillside that is just northwest of the rear of an American Tower microwave facility at Brier Mountain. From Tunkhannock at the intersection of Rt. 6 take Rt. 29 south for roughly 9.9 miles to the village of Bowman Creek (N41° 26.134' W076° 01.091'), bear left onto Rt. 309 south for 0.85 miles (N41° 25.510' W076° 00.662'), and turn left onto Dietz Mountain Road (T337) for 1.5 miles to a gated driveway left (N41° 26.411' W075° 59.730') leading to the microwave tower. 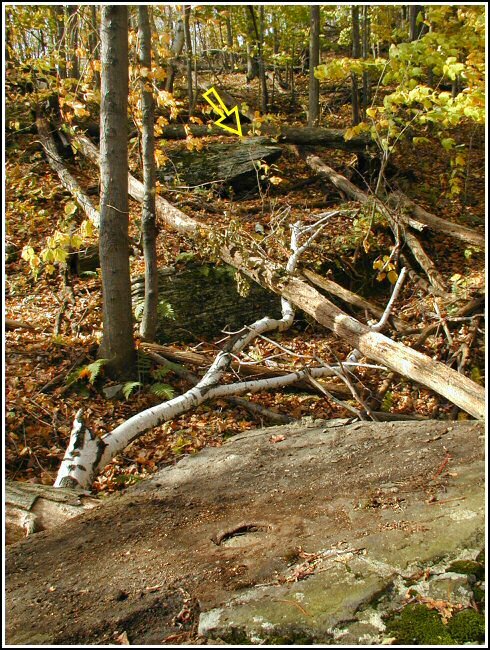 Follow around the right side of the building through an open field, past the tower on the left, then bear left across a ditch at the start of the woods and uphill to the station. 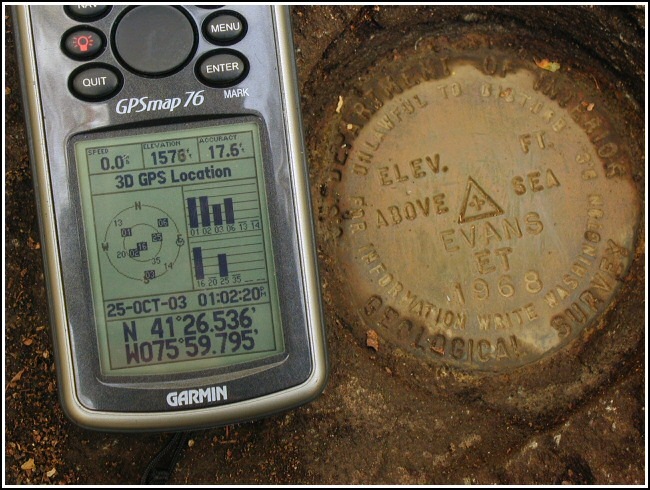 A handheld GPS receiver made locating the station an easy task. The historical description leads reliably to the station and the two reference marks. 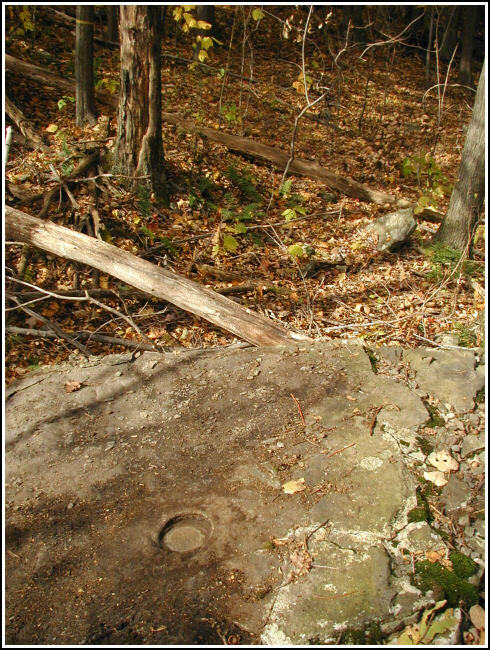 The station mark and both reference marks were found as described. None of the oak trees, the witness sign or any triangle blazes were found. 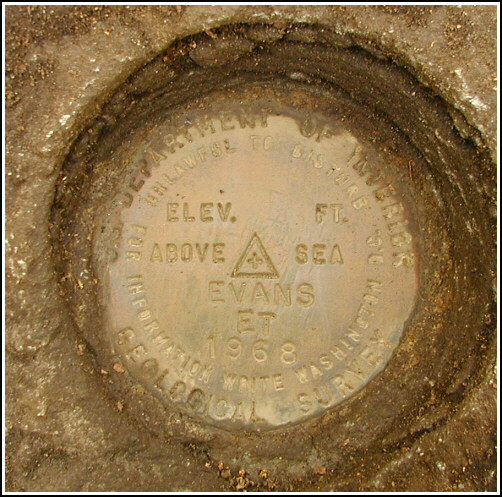 The Harvey Fire Tower (Dallas Lookout Tower in the description) that was used for the azimuth could not be observed. LY2774, “EVANS ET 1968,” Wyoming County, PA.
Orientation view, facing west and RM1 (indicated). Orientation view, facing north and station (indicated).